Workshop limitations: The workshop is set for two days. This course will teach the foundations of Python programming Linux and Git. The Foundational Training Workshop in Genomics is a full-immersion residential program designed for top-performing West African graduate and postdoctoral students, faculty members and laboratory technicians. The two-month training offers a curriculum of best practices and laboratory techniques, reinforced by intensive coursework in molecular biology, genetics, and genomics theory to support their professional development toward becoming independent scientists. WASLITBRe is proud to announce her first Postgraduate Bioinformatics Workshop. This 6-week long workshop with an examination at the end side of each course is aimed at exposing our grants funded MSc and PhD students to the state-of-the-art training in bioinformatics and data science. The participants total is pegged to 20 to ensure we have the best classroom atmosphere for our trainees to learn. This workshop is the first of the 2 workshops planned for this year. See the table here for the courses to be covered in the 2 workshops, the first holding at Covenant University, Ota, Nigeria and the second to hold at KNUST, Ghana. Each year, the Office of Extramural Research (OER) sponsors the NIH Regional Seminars on Program Funding and Grants Administration. These seminars are intended to help demystify the application and review process, clarify Federal regulations and policies, and highlight current areas of special interest or concern. The seminars serve the NIH mission of providing education and training for the next generation of biomedical and behavioral scientist. NIH policy, grants management, review and program staff provide a broad array of expertise and encourage personal interaction between themselves and seminar participants. 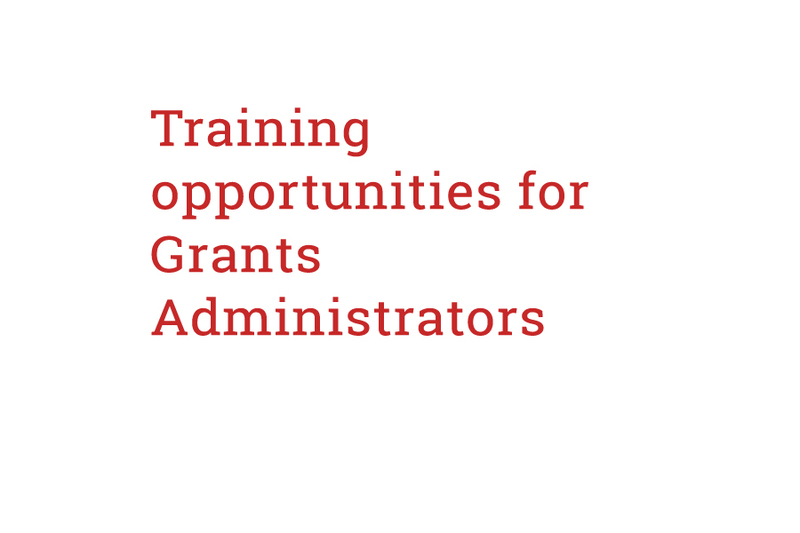 The seminars are appropriate for grants administrators, researchers new to NIH, and graduate students. The University of Cape Town, in collaboration with the J. Craig Venter Institute, USA will be hosting a practical workshop on microbiome analysis. This workshop is sponsored through the H3Africa, Human Heredity and Health Initiative. The International Society for Computational Biology (ISCB) and the Regional Student Groups in Africa (RSGs Africa) are organizing the ISCB-RSGs African Student Symposium to be held on Sunday, March 8th, 2015 on the marge of the ISCB Africa ASBCB Conference on Bioinformatics in Dar es Salaam, Tanzania. Meetings and Courses to be held in 2015 at the ICGEB Components and in selected Member States are published on this page. For further information on each individual event, including terms of participation, refer to the relevant contact provided. Protein-protein interaction data is being generated at an ever-increasing rate. Many scientists are not trained in the bioinformatics tools needed to analyse this data. Given the importance of this data in many life science disciplines, there is a major need to provide training in such tools; particularly for bench biologists (especially for researchers into pathogens such as HIV or tuberculosis, which reply on PPIs for their pathogenicity) who need to use, or generate themselves such data, but who do not have the theoretical background needed to assess it critically. This EMBO Practical Course will teach advanced methods and applications of computational biology for high throughput data analysis in molecular biology. Its primarily addresses early stage experimental biologists interested in large scale data analysis and computational scientists with previously limited exposure to experimental biology. Practical skills for data analysis will be developed in seven half-day sessions and applied in a joint research project. The course will conclude with a symposium where the speakers of the course will present their scientific research. The eGenomics catalogue was initiated by H3ABioNet and is maintained by volunteers from across the globe, in particular H3Africa Fellows. This catalogue maintains free online Genomics educational material and community based reviews/evaluations. Activities will use a multi-faceted approach that addresses bioinformatics training for all sectors of the research community. Offers, among other things, free certificated online training courses on issues related to research trials, translated into 20 languages, and a professional membership scheme for laboratory staff. Office of Public Health Genomics (OPHG) conducts and supports workshops, courses, and other training activities in public health genomics, family history, and human genome epidemiology. Sponsors a wide variety of stimulating courses and conferences on its campus in Bar Harbor and at other locations with co-sponsors. Explore the cutting edge of research in genomics, genetic diseases and biomedicine. Is portal for information on medical education in Sub-Saharan Africa. Financial management for international collaborative initiatives is a complex process for which a number of organisations offer specialised training. Introduction to Bioinformatics course (IBT) provides an introduction to the field of bioinformatics, with a focus on important bioinformatic tools and resources. How do we sequence and compare genomes? How do we identify the genetic basis for disease? How do we construct an evolutionary Tree of Life for all species on Earth? Technique : A sequencing method for mapping the locations of chosen DNA-binding proteins, such as transcription factors (TFs) and histones with epigenetic modifications. 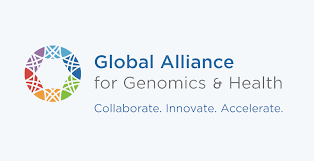 an international, nonprofit alliance formed in 2013 to accelerate the potential of research and medicine to advance human health.